We all know that one person who seems to be a jack of all trades; a renaissance man (or woman). For me, that man is Matt Verley. From welding to professional drone operator; fireman to mechanic—Matt knows just seems to know a lot about, well, a lot. 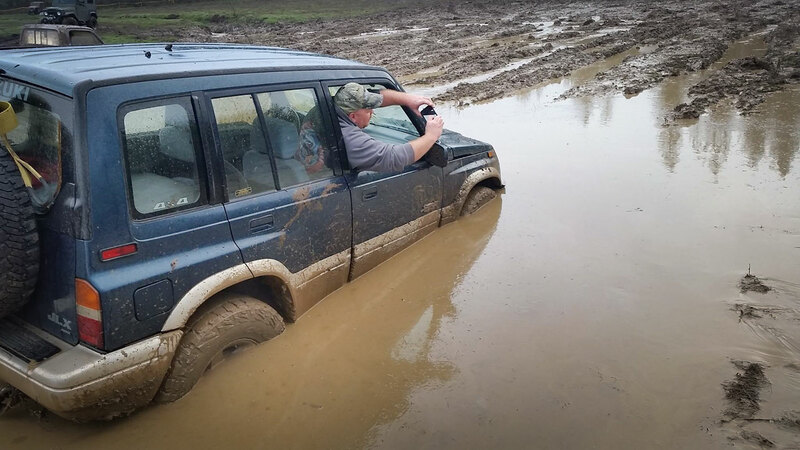 Another thing Matt knows a lot about: Suzuki 4x4s. 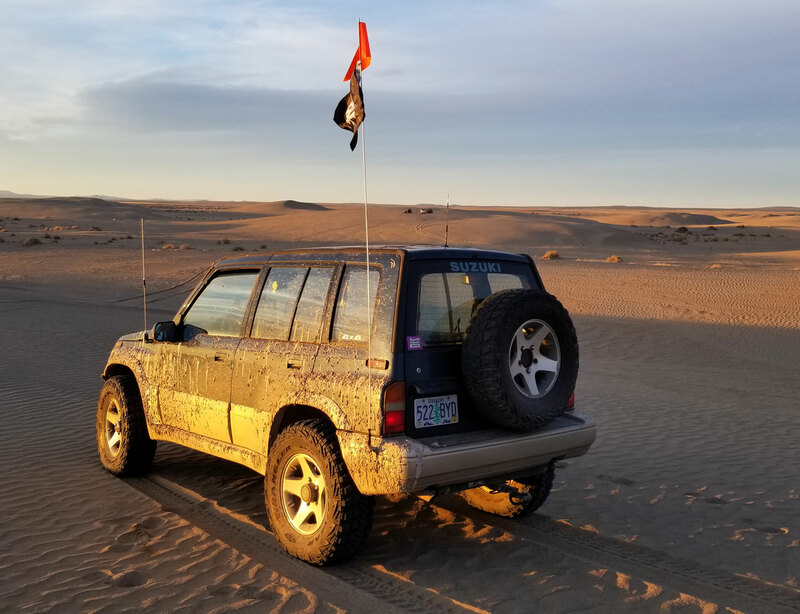 Matt, who lives in Seaside, Oregon, has had a number of Suzuki rigs over the years. 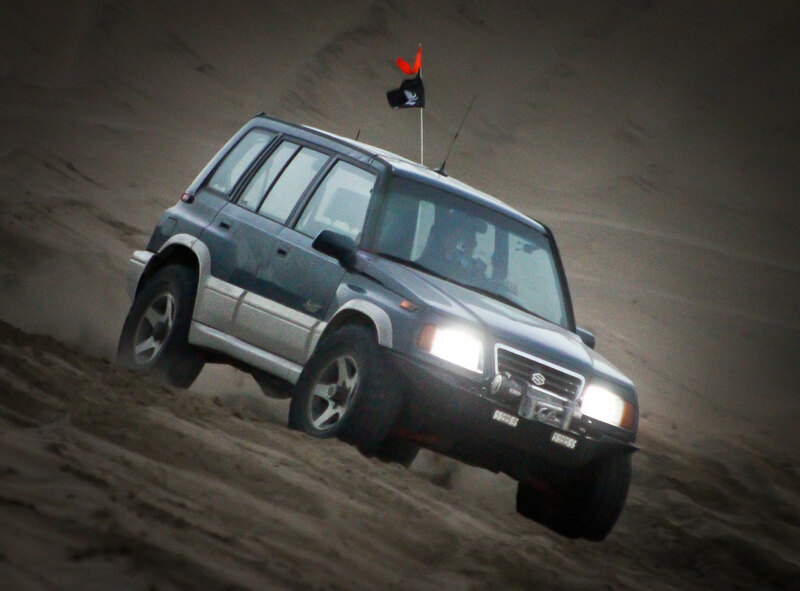 From a super-capable Samurai on 33s to a Vitara on Unimog axles (he called it the Unimooki). But my favorite project might be his Suzuki Sidekick Sport. I met Matt years ago through some friends at work, and when I got a 1995 Suzuki Sidekick, Matt was a go-to guy for info and helped us with a number of projects on the rig. He’s definitely one of the Suzuki gurus. Maybe even the Sultan of Suzukis? 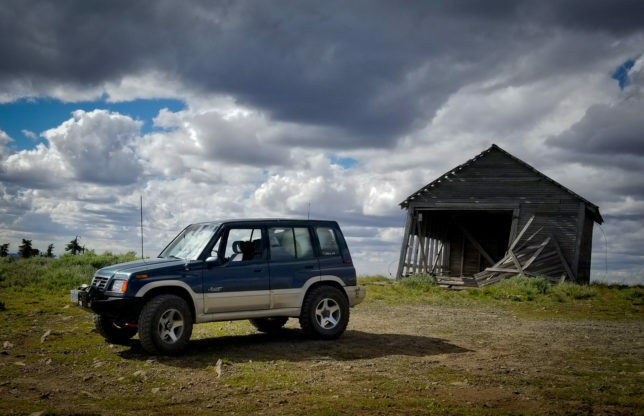 The first generation Suzuki Sidekick (aka Geo Tracker, aka, Suzuki Vitara, aka Suzuki Escudo, aka Asüna Sunrunner) was sold globally from 1989 to 1998. From 1996–1998, Suzuki offered the Sport model, which had a more powerful 1.8-liter engine (vs. 1.6-liter), and several other qualities that made them slightly different. For instance, the Sports are actually a bit wider than standard Sidekicks. 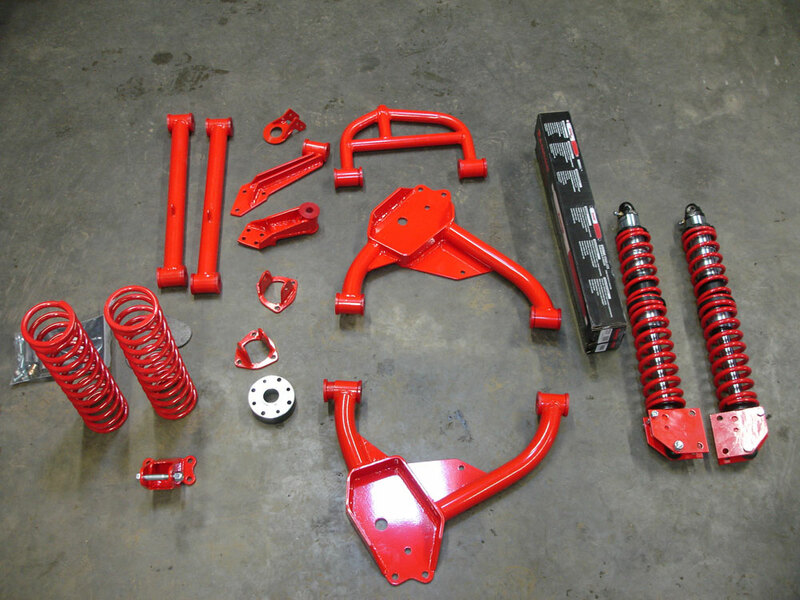 However, this means standard Sidekick/Tracker aftermarket parts, such as bumpers, suspension, etc., don’t just bolt up. But unlike many, these hurdles didn’t stand in the way of Matt building an awesome Sidekick Sport. His Suzuki has more capability and more power than your average Sidekick. Rumor has it, the engine from this rig came from a Sport that was literally totaled on a test drive. Talk about low mileage! For many, simply swapping in a new engine would be enough of a project, but Matt had much bigger aspirations. 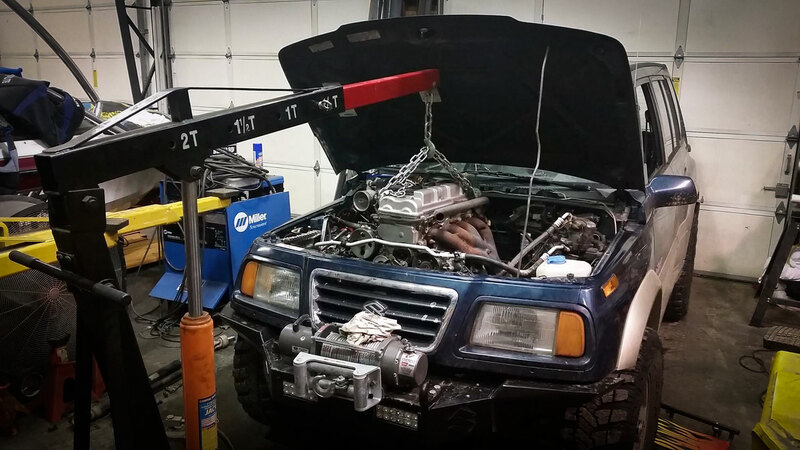 Next, Matt built custom axle drop brackets and modified a stock strut tower brace, but otherwise used the components from Bob’s kit. After the lift was installed, he put 265/75R16 Goodyear wrangler MTRs on stock Sport wheels. Sidekicks were low axle ratios from the factory. In this case, the axles already had 5.12:1 gears. He corrected the speedometer by using an in-line correction gear box in the speedometer cable. He then re-painted the roof and the hood because the clearcoat was peeling. After this work, the vehicle became his wife’s daily driver and was relegated to pavement. 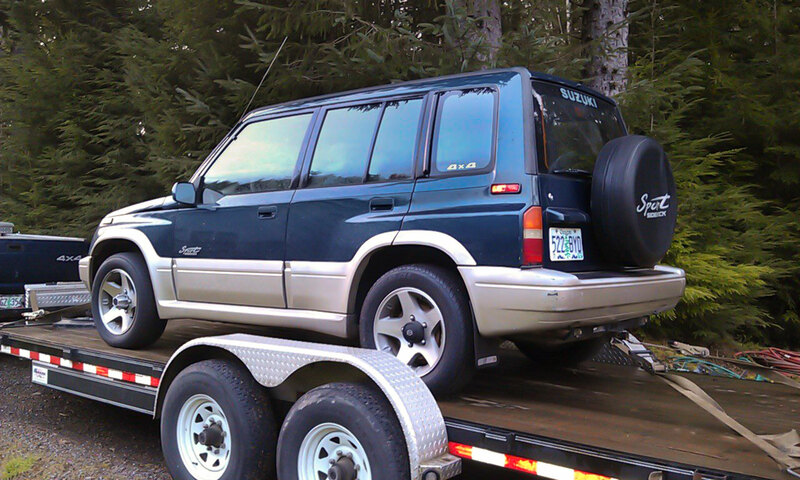 This transformation from daily driver to weekend wheeler and overland rig began with adding more off-road capability. This came via a Lock Right mechanical locker in the rear axle, then a twin stick transfer case with 4.24:1 gears. For comms, he installed a Wilson Cell booster for added cellular data coverage and a dual band 70cm/2m Ham radio. 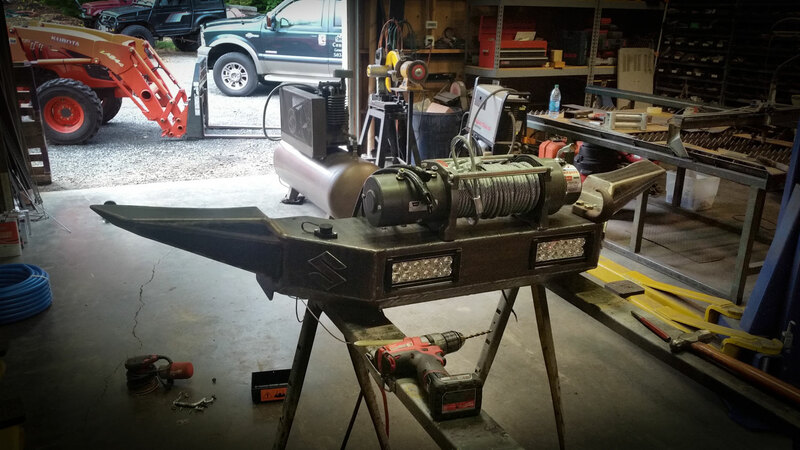 For more front end protection, Matt built a custom front winch bumper from scratch; with the end bells composed of air tanks supplied by a Viair 400c air compressor. This would allow him to run on-board air. For recovery duty, Matt installed a WARN M8000 winch, and for visibility, twin 8” LED light bars with selectable on/off and high beams. “The extra horsepower was a very welcome change! It allowed me to cruise at 90 mph through Idaho on trips,” says Matt. Matt’s taken his Aerio-powered Suzuki Sidekick on a number of trips including all of the Zukiworld Fall Classic trips since 2014, a number of trips to Idaho, and many other excursions. 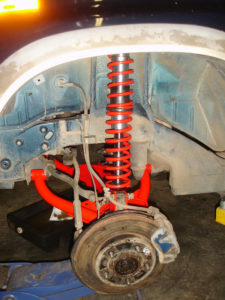 Eventually, it was time to upgrade the OE transmission, and you can see how he did that here. All of this is pretty impressive, no doubt. But Matt’s not done yet. Future plans include custom rock sliders, custom rear bumper, steel Grand Vitara front axle housing, and rack and pinion steering. Remember when I said Matt was a jack of all trades? We’ll, he’s a prolific YouTuber, too. If you’d like to see more of his Sidekick, he’s got lots of videos, which are listed below. If you ever need something fixed, Matt’s the guy you want to know. On top of it, he’s a really good guy and can get just about any job done that I’ve seen. Below are links to his content, much of which involves his Sidekick, but it’s all adventure-themed and a lot of fun. 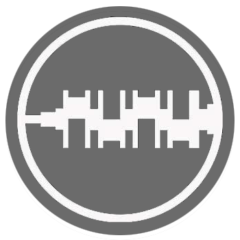 You can follow Matt and his adventures on his YouTube channel.